The arrival of self-driving and connected cars will add weight to the case for improved highway maintenance, not only to tackle the huge backlog, but also to ensure the associated communication and information systems are up to standard and offer comprehensive coverage. Experience from the aviation and rail sectors suggests that there could also be a need for a more highly-qualified and highly-paid workforce, not just to ensure highway surfaces are maintained in better condition, but also look after the network of telecoms equipment that connected cars will rely on. In a report for the RAC Foundation – Readiness of the road network for connected and autonomous vehicles – the consultancy CAS says that much will depend on the ability of autonomous vehicles to ‘read the road’ and make allowances for potholes, poor road markings and complicated signals and signs. The report gives the example of the danger faced if any of the vehicles travelling in a fast-moving, close-formation platoon hits a pothole. The report says that “all four levels of ‘cognitive performance’ required by AVs will have implications for infrastructure since the last three will all be dependent on the accuracy of the first”. 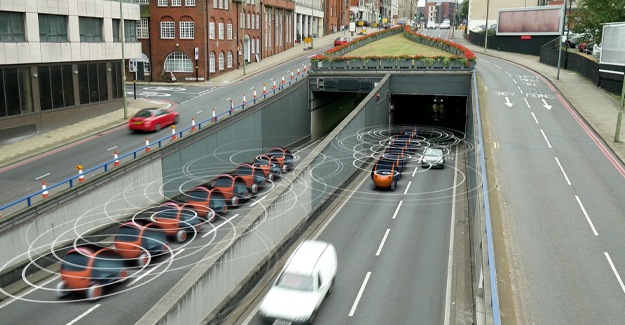 “Driverless cars will make decisions based on their best assessment of their surroundings. Throw in variables like potholes, unclear and obscured signs and lines, and intermittent communication coverage from our currently patchy network and you could find that far from offering the swift, comfortable travel we seek, our new autonomous cars are condemned to crawling along in ‘proceed with caution’ mode.